A Well-Feathered Nest: Now we have a pirate. Now we have a pirate. 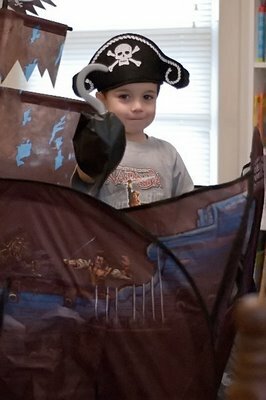 He's been looking for buried treasure, and he keeps finding maps to show the way. At least, that's what he says they are. 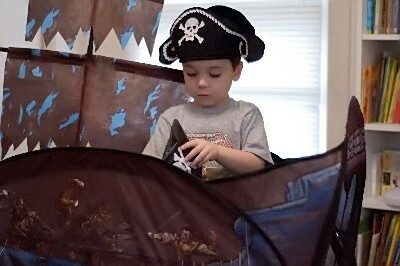 He was a little upset that Curious George couldn't stand up in the ship after he put the hat and hook hand on. Just what is wrong with that monkey? I love that little Pirate. I hope he has a map to the Foley treasure.